On the mornings of November 4, 5 and 6, 2018 – perhaps after staying out late or getting up early to look for Taurid meteors – let the waning crescent moon help guide your eye to the planet Venus at morning dawn. Venus is the brightest planet, so you can see it very near the sunrise glare. It only entered the morning sky – passing between us and the sun – on October 26, 2018. 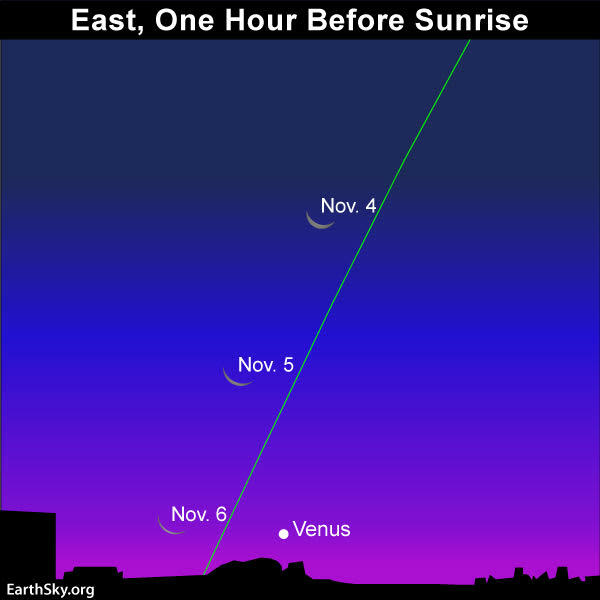 So in early November, Venus is still extremely low in the eastern sky just before sunrise. It’s very near the sunrise point. We in the Northern Hemisphere have an advantage in viewing Venus before dawn at this time of year. It’s autumn for us, and the autumn angle of the ecliptic – or path of the sun, moon and planets – with respect to the morning horizon is always very steep. This means Venus will be above the sunrise, rather than to one side of it, as seen from this hemisphere. And that fact will make Venus easier to spot. Find an unobstructed eastern horizon, and, if you have binoculars, bring them along. Venus will be higher up and easier to view in the morning sky as the month progresses. Each day throughout November 2018, this blazing beauty of a planet will rise sooner before sunrise and will brighten all the while. At mid-northern latitudes, Venus rises roughly one hour before sunrise by around November 4. By the month’s end, Venus will rise some three hours before the sun. At temperate latitudes in the Southern Hemisphere, Venus rises about one hour before sunup on or near November 6. By late November, Venus will rise two hours before the sun. If you were alive and interested in astronomy then, you’ll remember Supernova 1987A, the 1st supernova visible in Earth’s skies since 1604. The new timelapse shows its aftermath over a 25-year period, 1992 to 2017. Image via Yvette Cendes/University of Toronto/Leiden Observatory. One of the major astronomical events of the last century was Supernova 1987A. It was the closest observed supernova since Kepler’s Supernova, visible in 1604, and the first supernova visible in earthly skies since the invention of the telescope. It first appeared in Earth’s night skies – visible only from the Southern Hemisphere – on February 24, 1987. It stayed bright enough to see with the eye for many months. And then it faded, but astronomers with telescopes continued to follow it. Since then, Supernova 1987A has become one of the most studied objects in the history of astronomy. Last week, astronomers at the Dunlop Institute of the University of Toronto released the new timelapse shown at the top of this post, showing the supernova as it evolved over 25 years. The supernova was the cataclysmic death of a blue supergiant star. It was located in the Large Magellanic Cloud, a small satellite galaxy of the Milky Way, at a distance of 168,000 light-years (and thus, of course, the supernova actually took place that many years ago). The European Service Module – eventually to be used to power and propel NASA’s Orion spacecraft in the 1st manned moon mission since the 1970s – leaves Europe today and arrives in the U.S. tomorrow. Once operational, SLS will be the most powerful rocket ever built, and will be able to take a crewed Orion to the moon and beyond. NASA’s Orion spacecraft – built to carry humans – is one step closer to its first mission to fly around the moon and back, the European Space Agency (ESA) said on October 30, 2018. It said its European Service Module – which will be used to power and propel the Orion spacecraft – will be shipped this week from Bremen, Germany, to the United States on an Antonov An-124 aircraft. It’ll depart in the early hours of November 5 and arrive at Kennedy Space Center in Florida on November 6. The ESM, designed in Italy and Germany, is a crucial European component of NASA’s ambitious Space Launch System or SLS; the Orion spacecraft part of SLS is designed to take astronauts back to the moon for the first time since the 1970s. The European Service Module will hold fuel in large tanks, as well as water, oxygen and nitrogen for the astronauts, while radiators and heat exchangers will help keep the module at comfortable temperatures.The 2019 lunar calendars are here! Order yours before they’re gone. Makes a great gift. The module itself resembles ESA’s Automated Transfer Vehicle, which has been used to bring supplies to the International Space Station. The structure is the backbone of the entire vehicle, something like a car chassis. Three types of engines will help propel Orion during its excursions, and can turn the spacecraft in all directions. The module will be built by Airbus Defence and Space, and many other companies across Europe will also supply components. This is the first time that a European-built system will serve as a critical element to power an American spacecraft; this is thanks largely to ESA’s existing Automated Transfer Vehicle program, mentioned above. At Kennedy Space Center, the European Service Module will be connected to the Orion crew module and its adapter in preparation for Exploration Mission-1. This mission is planned as an initial test flight without astronauts that will travel farther into space than any human-rated spacecraft has ever ventured before. This mission is expected to launch sometime in 2020. A second European Service Module, similar to the first, is also now being developed. This one will be able to take a human crew on a trip around the moon. All of this activity is leading up to launches with components of the Gateway – a planned human-tended outpost in lunar orbit, designed to be used for both human and robotic exploration of the moon. ESM also recently completed its final integration and testing at the Airbus integration hall in Bremen. After the first flight, the next step is to start sending people on bold missions to the moon and beyond. 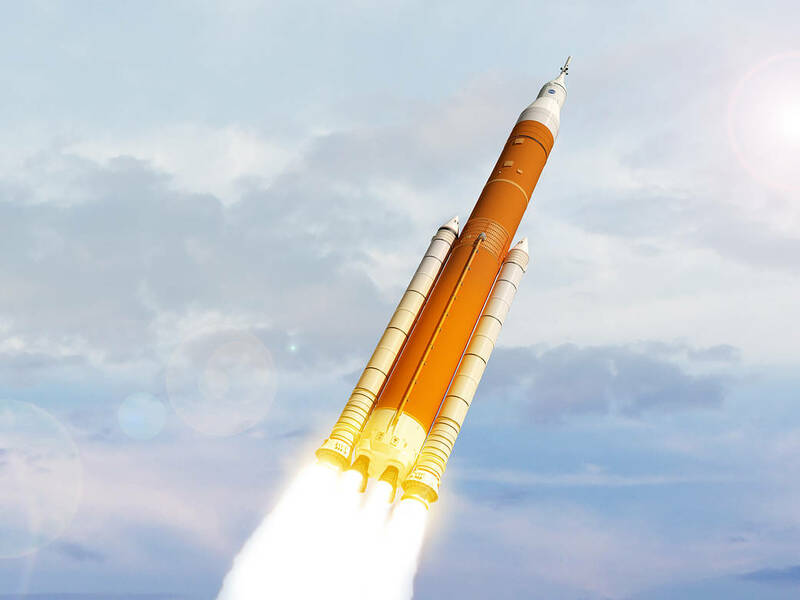 As SLS evolves over future missions to unprecedented accommodation of payload mass and volume and unrivaled performance, the rocket will allow NASA to send missions to deep space and reach distant destinations faster than ever before. On its second mission carrying Orion and astronauts, Exploration Mission-2, SLS will send Orion and its crew farther than people have traveled before around 250,000 miles from Earth, 10,000 miles beyond the moon. SLS and Orion are America’s space vehicles and the foundation for missions carrying explorers to deep space. This new era of discovery requires all of humanity, including international and commercial partners, to help make these ventures possible and sustainable. Partners can help provide routine delivery of supplies and equipment needed to live and work on the moon and in deep space. SLS and Orion are planned to fly once or twice a year and will focus on dependable, safe flights for humans and large cargo. 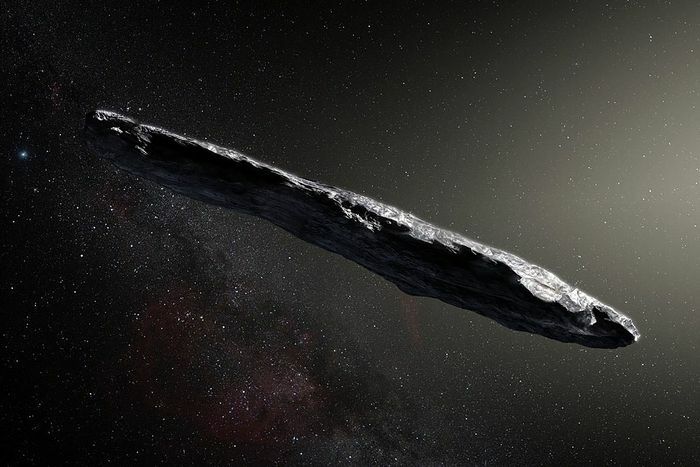 (CNN) - A mysterious cigar-shaped object spotted tumbling through our solar system last year may have been an alien spacecraft sent to investigate Earth, astronomers from Harvard University have suggested. "Light-sails with similar dimensions have been designed and constructed by our own civilization, including the IKAROS project and the Starshot Initiative. The light-sail technology might be abundantly used for transportation of cargos between planets or between stars. "In the paper, the pair theorize that the object's high speed and its unusual trajectory could be the result of it no longer being operational. Last edited by ilan; 11-07-2018 at 03:49 PM. A new study from MIT suggests that existing laser technology could be used to signal alien astronomers on a distant world. But should it be used? from as far as 20,000 light years away. Image via MIT. 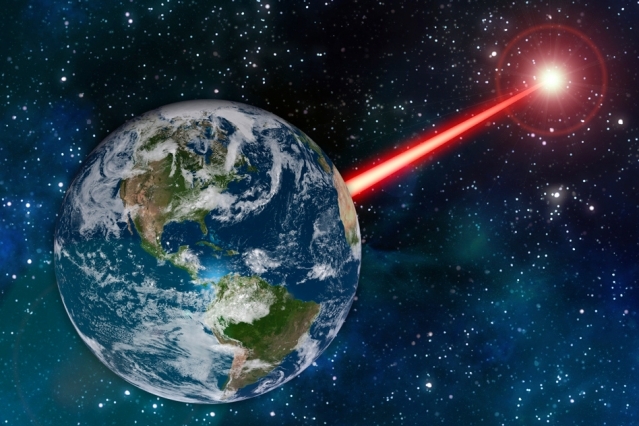 If extraterrestrial intelligence exists somewhere in our galaxy, a new MIT study proposes that laser technology on Earth could, in principle, be fashioned into something of a planetary porch light — a beacon strong enough to attract attention from as far as 20,000 light years away. I wanted to see if I could take the kinds of telescopes and lasers that we’re building today, and make a detectable beacon out of them. In general, this was a feasibility study. Whether or not this is a good idea, that’s a discussion for future work. What do you think? If the technical and safety problems could be solved – and assuming this idea would work in actuality – should we be signaling our presence to alien civilizations? Last edited by ilan; 11-08-2018 at 01:18 PM. A Canadian witness at Joliette reported watching a “non-symmetrical” object that hovered, turned and disappeared, according to testimony in Case 92792 from the Mutual UFO Network (MUFON) witness reporting database. “Really blue sky, not a single cloud,” the witness stated. “I checked the sky thinking it was a plane, but it was stationary. It was metallic and very reflective. It had a weird shape, asymmetrical. I thought to myself: '’What is that?’ And then it made a light spin on itself and then it vanished, like when it was turning itself on, the movement was like facing a piece of paper, and then when you turn it, you don’t see it cause it’s so flat. It was a bit like that. It was bigger than a small plane and very stationary, very metallic. ”When turning, the object disappeared. "I was checking the sky two or three minutes in that area after, and never saw it again. It’s impossible. It really was a solid object in the sky, solid, reflective, a bit like a plane, but planes don’t disappear like that. I made a drawing of the shape and size in the sky. It’s really hard to explain the shape. It was standing straight, right side was flat, and the left side was curvy a bit like the number three in reverse. ”​Canadian Field Investigator Allen Des Roches closed this case as an Unknown Aerial Vehicle. This weekend – Saturday, November 10, and Sunday, November 11, 2018 – you’ll find the moon and Saturn at early evening. More about the pair below. Also, the North Taurid meteors at their best at and around the midnight hour. For the fun of it, on our chart at top, we also show you the whereabout of the dwarf planet Pluto. You won’t see Pluto with the eye; it’s about 2,000 times fainter than the dimmest visible star. About the North Taurids … A crescent moon in the west in the evening is a setting moon. So moonlight will not obstruct this year’s North Taurid meteor shower. The moon (along with the planet Saturn) will set by early to mid-evening, while the North Taurids will fly most abundantly for several hours, centered around 12:30 a.m. local time (the time on your clock no matter where you are on the globe). This shower offers perhaps five or so meteors per hour, but it’s known for producing fireballs. 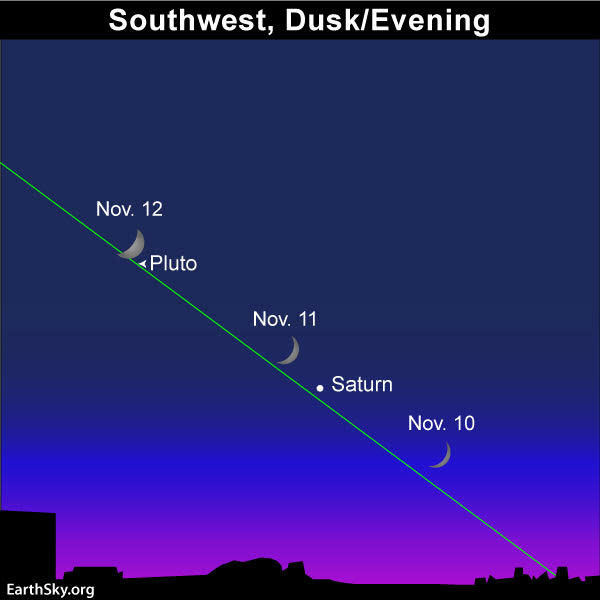 About the moon and Saturn … At nightfall on November 10 and 11, look westward for the waxing moon. The ringed planet Saturn will be the bright “star” nearby. Although you can see Saturn with the eye alone, you need a telescope to view its glorious rings. Even a modest backyard telescope will do the trick. November 2018 presents your last full month to observe Saturn in the evening sky. This golden world will become lost in the sun’s glare in December 2018. It’ll move over into the morning sky in early January 2019. The moon, our closest celestial neighbor, resides a bit less than 250,000 miles (400,000 km) from Earth at present. Meanwhile, Saturn, the farthest world that we can easily see with the unaided eye, lodges at about four thousand times the moon’s distance from Earth. Watch the moon over the next several days as it goes eastward relative to the backdrop stars and planets of the zodiac. Even though the moon and Saturn move westward across the sky throughout the night – because of the Earth’s rotation – the moon continually moves eastward in front of the constellations of the zodiac. So, from one night to the next, you’ll find the moon in a more easterly position. This motion is due to the moon’s eastward orbital motion around Earth. As the moon makes its monthly rounds through the zodiac, it’ll meet up with the red planet Mars in mid-November. In fact, if you at the right spot in the far southern part of the globe, you could watch the moon occult (pass in front of) Mars. From most of the globe, however, the moon will pass just south of Mars and no occultation will take place. Last edited by ilan; 11-11-2018 at 01:14 PM. Not long ago, we couldn’t see planets orbiting distant stars at all. Now astronomers have captured the passage of exoplanet Beta Pictoris b into the glare of its star … then its re-emergence 2 years later. 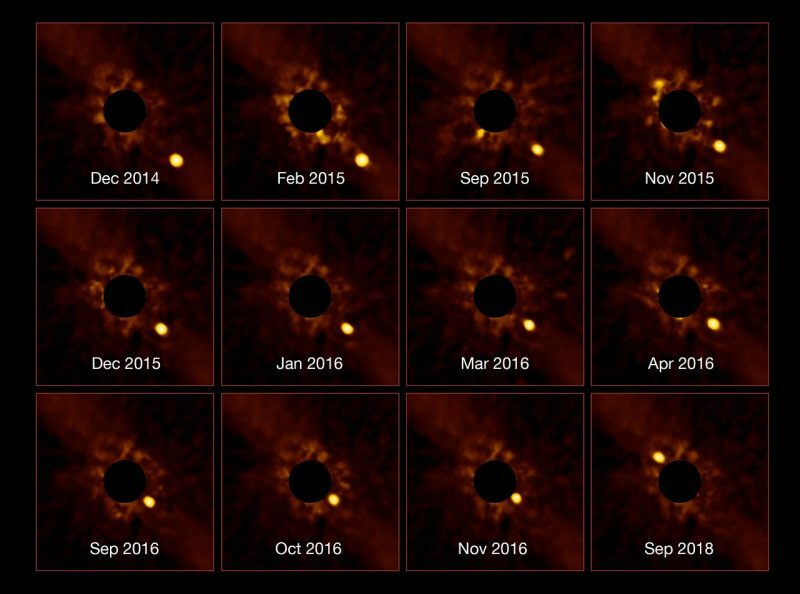 The European Southern Observatory (ESO) said on November 12, 2018, that its Very Large Telescope has captured an unprecedented series of images showing the passage of the exoplanet Beta Pictoris b around its parent star. The images are above. They’re amazing on their face, but especially when you notice the location of the exoplanet in the bottom right image – the one from September 2018 – in contrast to all those that came before. In other words, this planet went into the glare of its star for about two years. We couldn’t see it at all then. But now it has re-emerged on the opposite side of its star, as any respectable world moving in orbit would do. We know worlds in space do this, but to see it! That’s something new. It wasn’t until the early 1990s that astronomers began finding planets orbiting distant suns. Now – despite the conjecture that there might be some billion planets in our Milky Way galaxy alone – we’ve managed to discover only several thousand exoplanets. It’s finding them in the glare of their stars that has been the challenge. By their nature, stars produce light; planets don’t. Planets only shine with the reflected light from their stars. So spotting them in their stars’ glare was a major challenge to astronomers for decades. And it’s still a challenge, although – as you can see from this stunning image – the technologies have vastly improved. The same science team [that discovered it] since tracked the exoplanet from late 2014 until late 2016, using the Spectro-Polarimetric High-contrast Exoplanet REsearch instrument (SPHERE) — another instrument on the Very Large Telescope. Beta Pictoris b then passed so close to the halo of the star that no instrument could resolve them from one another. Almost two years later, after seeming to merge into the image of the star, Beta Pictoris b has now emerged from the halo. This reappearance was captured again by SPHERE … [which] specializes in direct imaging, hunting for exoplanets by taking their photographs. This extraordinarily challenging endeavor provides us with clear images of distant worlds such as Beta Pictoris b, 63 light-years away. Beta Pictoris b orbits its star at a distance similar to that between the sun and Saturn [approximately 800 million miles or 1.3 billion kilometers], meaning it’s the most closely orbiting exoplanet ever to have been directly imaged. The surface of this young planet is still hot, around 1,500 degrees Celsius [2,700 degrees Fahrenheit], and the light it emits enabled SPHERE to discover it and track its orbit, seeing it emerge from its passage in front of its parent star. (CNN) — The view from the airplane window just got a little bit weirder -- or at least it did over Ireland. "In all probability, they were meteorites," aviation journalist Gerry Byrne told the Irish Examiner. Last edited by ilan; 11-15-2018 at 12:33 AM.